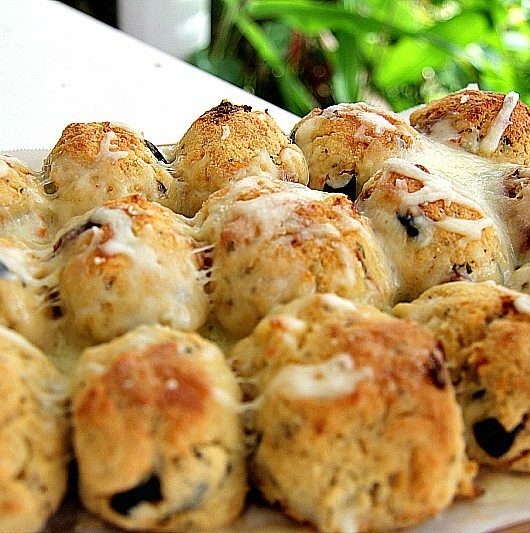 Healthy low carb dough balls made with coconut flour and flavoured with sun dried tomatoes and olives. 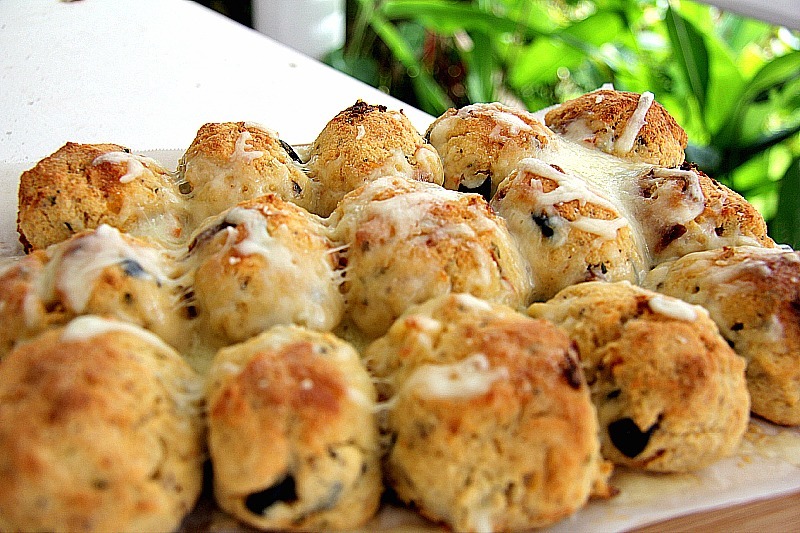 Add some cheese and you have a delicious appetiser or snack. I’ve been playing around with this dough balls recipe and although initially I added Feta cheese to this, the second batch I made without it received a bigger applause from the Chief Taster. However, I did smother the second batch with cheese so that’s probably why I got the applause as he adores cheese. I still liked the first batch and think the addition of Feta was not something to rule out. The Chief Taster said it was a bit too “busy” with flavours for him. I would happily have all three flavours on a pizza though so can’t see why they shouldn’t be put together in a dough ball. Nonetheless, this is the final version and was delicious. Slightly firm on the outside with a soft doughy middle. 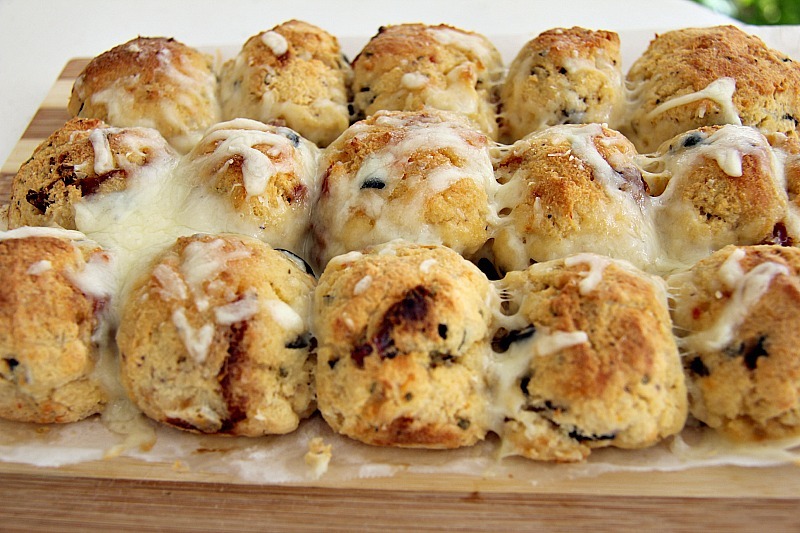 The sundried tomatoes and olives go well together in this dough balls recipe. Ensure that they are chopped well so they distribute evenly in the dough. The Parmesan cheese I used for this recipe was fresh rather than the dried packaged cheese. 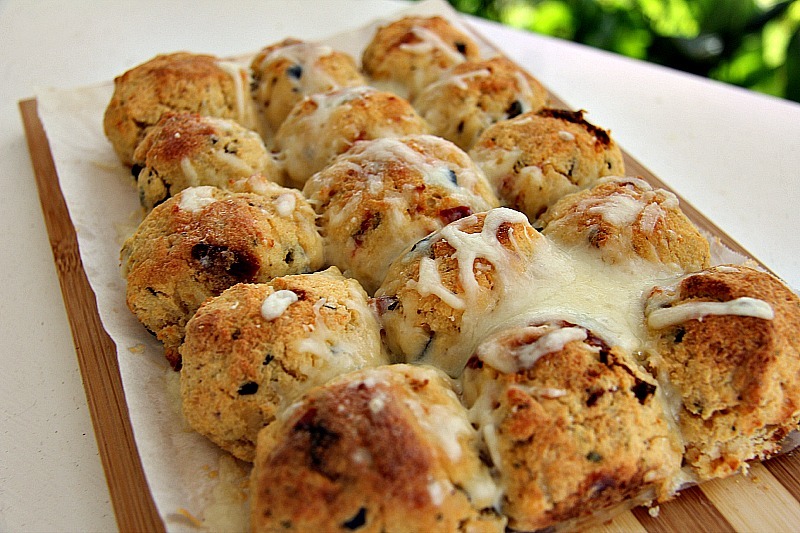 I think that it gives the dough balls a slightly moister consistency but the dried Parmesan would be okay to use. Perhaps add a couple of extra tablespoons if you are not using fresh though. When coconut flour and psyllium husk powder are combined, they make a great low carb and gluten free dough. Add cheese and some flavouring for a delicious snack! I used to love the dough balls at Pizza Express so try my best to try and recreate that soft, doughy balls of joy. This is fairly close for a low carb and gluten free version! I served these with a small bowl of garlic butter for dipping which I thoroughly recommend doing! For a quick garlic butter, just add some garlic powder to soft butter, blend and voila! Dip away my friend! Dip away! Mix the coconut flour, baking powder, psyllium husk powder and oregano together. 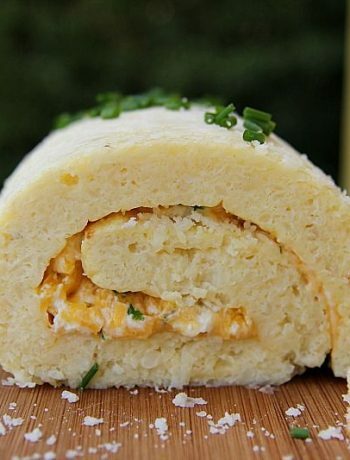 Add the eggs, melted butter, Mozzarella and Parmesan cheese and blend until combined thoroughly. Add the apple cider vinegar, olives and sundried tomatoes. Pour in the boiling water gradually, and mix until a dough like mixture forms. You might need a bit more water, depending upon the quality of the coconut flour used. Take about a large walnut sized ball of dough, and fashion it into a ball. Place on the baking tin and repeat until all the mixture is used. 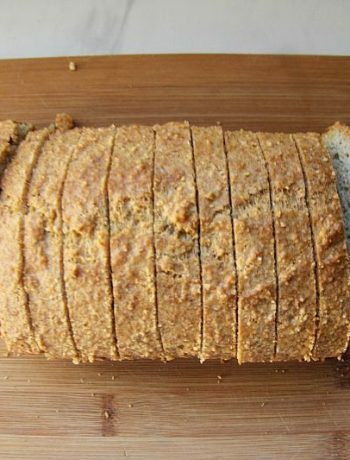 Bake for 30 minutes until golden and firm. 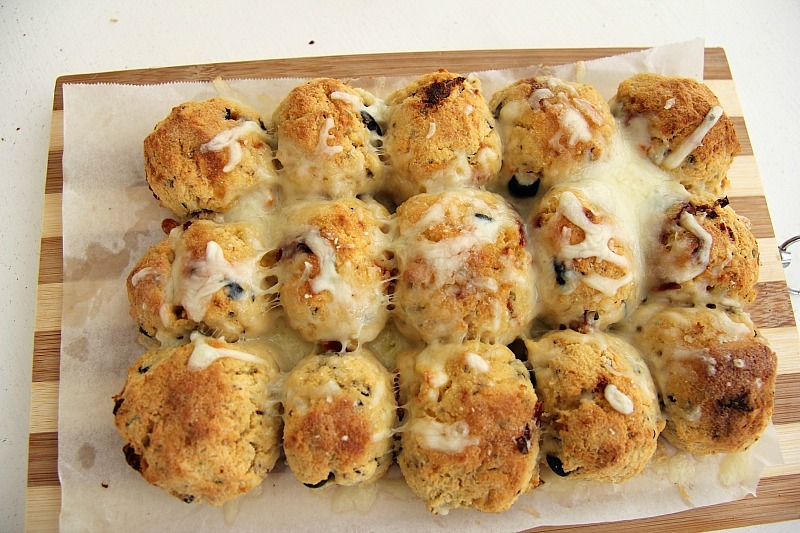 If you want a cheesy topping, remove from the oven 5 minutes before the cooking end time, and sprinkle with cheese. Put back in the oven and bake. Did you use sun dried tomatoes in oil or without or does it matter? I want to make these for Super Bowl Sunday. Thanks for all the great recipes. Hi Linda, I used without oil but it doesn’t really matter. Glad you like the recipes and hope your team wins!